Home » How tall can we build and can we create a tower that goes into space? Did you know that you can see the sun set twice during a single day in Dubai? You watch it dip below the horizon from the base of Burj Khalifa, before taking the elevator to the observation deck to see it set again. At 828 metres tall, the Burj Khalifa is so high that in 2011 the Dubai Islamic Affairs Department passed a ruling to state that people living above the 80th floor must delay breaking their fast during Ramadan by two to three minutes to factor in the timing of the sunset. It’s as mind-boggling a concept as the original plans for the Burj Khalifa were when it was first announced. The idea of a building more than twice as tall as New York’s iconic Empire State Building (a building so lofty that, should you jump off the top, you would reach terminal velocity before hitting the ground) seemed unfathomable at the time. And not only was it proved possible, but surpassable. This month, Emaar Properties will start work on another Dubai-based building that will be taller than its own Burj Khalifa. According to the developers, the slim, needlepoint-like tower will be a notch taller than the existing record holder, and will be completed before Expo 2020. Taller still is the 1,001m Jeddah Tower project (formerly Kingdom Tower), currently being built in Saudi Arabia, that will claim the World’s Tallest Building title when it opens in 2020. Further afield, there are proposals to construct an even bigger skyscraper in Tokyo Bay, known as the Sky Mile Tower, that would be a staggering 1,700m tall, twice the height of Burj Khalifa. So the obvious question arises: just how high can we build? The truth is, other than the restrictions imposed by financing and land usage, there are no physical limitations to just how high we can go. Twice the Burj Khalifa? We’ll figure it out. Three times? We’ll cross that bridge when we come to it. It’s the very essence of an engineering problem — if it doesn’t exist yet, you can bet that someone, somewhere, is looking at new methods and designs to turn it into a reality. To test this theory, in 1995 the Japanese company Taisei Corporation designed the X-Seed 4000, a speculative Eiffel Tower-esque structure with a base covering 6sqkm, and able to house 500,000 people. The hypothetical structure would reach a height of 4,000m — nearly a half-Everest. But surely, there has to be an upper limit. We couldn’t build a structure that goes into space, could we? Well, potentially, yes. Although this may all sound like science fiction, serious research has gone into exploring the possibilities, one of which was a book published in 2003 called Space Elevators. The work explored the idea of a 100,000km-tall tower that would clear Earth’s atmosphere and be anchored at the top by a satellite. 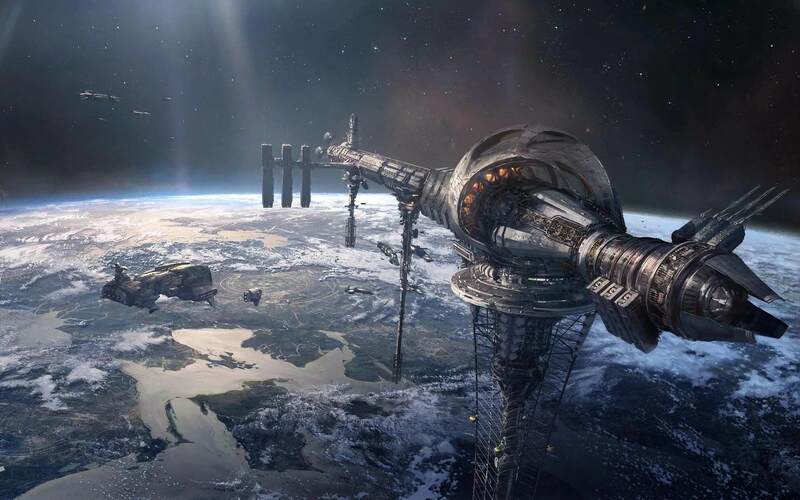 Further research by the International Academy of Astronautics (IAA) claimed that the colossal structure would be a cost-effective way to send materials and resources directly into Earth’s lower orbit — essentially operating as a vertical railway line. Naturally, there are several issues with this idea. The most pressing of these is the weight of a structure of this size, as no material exists that would be able to support it against gravitational pull… yet. But with development of a new diamond-like nanothread material (supposedly 13 times stronger than steel) progressing in the US, a major Japanese construction company has not given up hope, and has even gone as far as announcing plans to build a space elevator by 2050. Choruses of scientists claim that while it currently isn’t possible, it is by no means unthinkable. The creation of stronger material that can be used to tether the structure would make it possible, but would require significant funding and collective common interest, much like other great human engineering feats that have happened throughout history. If built, the elevators would significantly reduce the cost and risk elements currently faced by using rocket ships and, as the IAA report states, “would open up our Solar System to humankind”. Just imagine what the sunsets would be like from up there.